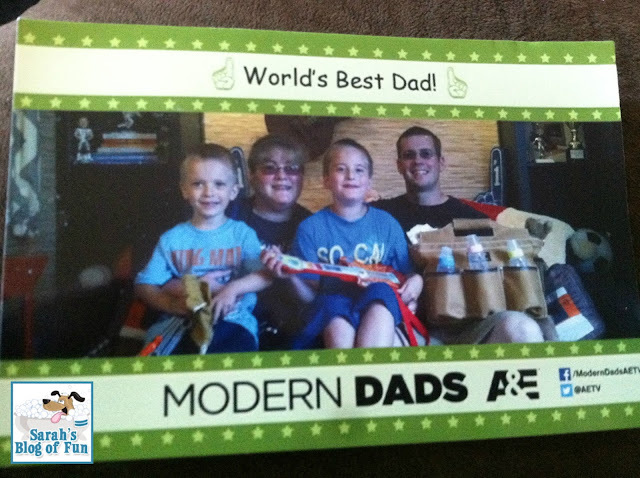 MODERN DADS features four stay-at-home dads who may be a little unconventional, but they get the job done. Banding together, their “guys club” is a tribe of suburban, child-rearing dudes who are just trying to do their thing… with a kid (or four) on their hip. This new series will follow their exploits as they navigate their lives; juggling the requirements and social expectations of being both a `modern man' and ‘modern dad’ while their significant others are off at work. Don’t forget to tune in to the series premiere of MODERN DADS on August 21st TODAY at 10:30/9:30c. The Modern Dads tour made a stop not to far from us, and we were invited to attend at Six Flags New England!! 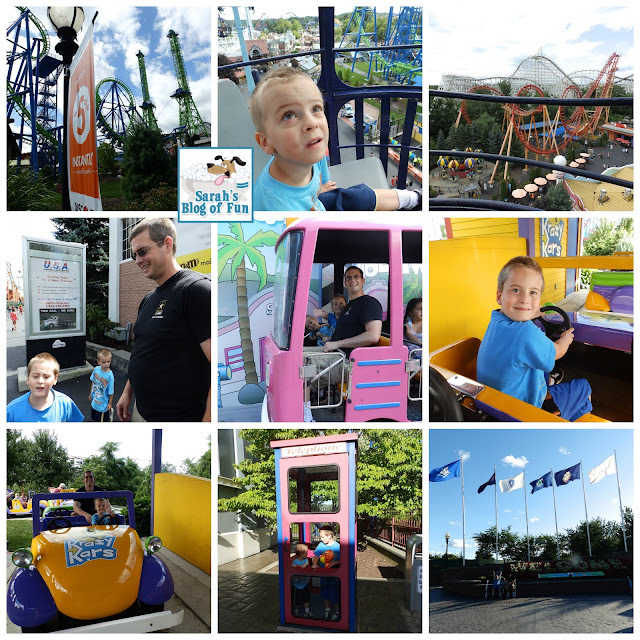 My boys were very excited because this was the first time they had gone to Six Flags!! As soon as we walked in the gate, the carousel was the first thing we saw, and of course we had to ride!! Ben Jr is at that age where he wants to ride all by himself, and I am still at that age where my answer is "Ah no, you are too little!!" Yes, then I realize he is 7 years old and I do have to let him grow up a little. We compromised and he rode by himself and we only stood behind him, not holding on to him for dear life!! 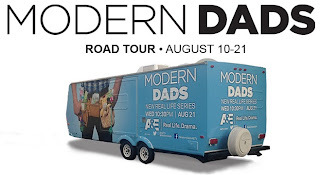 Then we hit the Modern Dad Trailer!! This was really cute. Inside they had couches and fun props for the kids to play with!! They also gave everyone souvenir photos to take with you!! After hanging out for a little bit, we got to visit the rest of the park and had a great time!! Make sure you check out Modern Dads on A&E. It airs tonight at 10:30 est!! !